Our Interprofessional Resource Team (IRT) covers a wide spectrum of specialties including Cardiology, Nephrology, Oncology, Neurology, Respirology, Thoracics, Orthopeadics, General Surgery, and Mental Health. As the team develops, additional areas will be added. For each scheduled shift, the IRT practical nurse will be assigned to work in one of the above mentioned areas based on area of need. The IRT practical nurse must possess the skills and flexibility to be able to work in all of the following areas: medicine, surgery and mental health. The ideal RPN for the IRT is someone who likes a challenge and would like to be a part of a new and exciting change in the way we deliver healthcare. IRT staff are provided with an individualized orientation program to ensure competency to practice in each of the three programs. Working with the IRT nurse manager and education coordinators, the IRT practical nurse will broaden his/her skills and knowledge and enrich his/her critical thinking and problem solving through exposure to a variety of work environments and patient populations. In order to branch into certain specialty clusters, the IRT practical nurse will be expected to participate in ongoing training and learning as well as take relevant courses as required. 1. Successful completion of a Practical Nursing Diploma Program. 2. Current BLS/CPR Certificate required. 3. Coronary Care 1 (CC1) or equivalent within six months. 4. Currently registered as a Registered Practical Nurse with the College of Nurses of Ontario. 5. Recent medical/surgical nursing experience required (those with mental health nursing experience considered as an added asset). 6. Demonstrated clinical competence with general medicine nursing skills. 7. Demonstrated ability to work collaboratively within an interprofessional team, as well as independently. 8. Excellent physical assessment skills, critical thinking skills and problem solving skills. 9. Demonstrated understanding and commitment to patient and family centered care. 10. Excellent interpersonal and communication skills, both written and verbal. 11. Demonstrated ability to engage and educate patients and families. 12. Demonstrated commitment to continuing education and professional development. WHEN APPLYING, PLEASE INCLUDE THE JOB TITLE IN THE SUBJECT LINE. 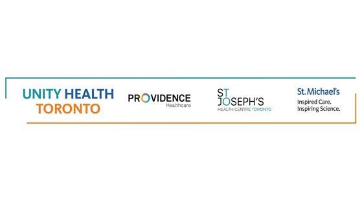 If you are interested and qualified for this position, we invite you to send us your resume to hrjob@stjoestoronto.ca. Please note while we value all applicants only those candidates selected for interview will be contacted.